Preliminary info for AMD’s upcoming 7nm Zen 2 based, 3rd Gen Ryzen Threadripper ‘Castle Peak’ high-end desktop and EPYC Rome server processors has been added in the latest version of AIDA64. 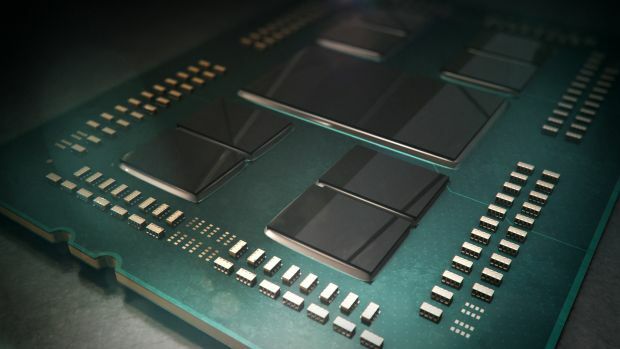 The new processors are expected to debut in the second half of 2019, offering more cores and better performance than their predecessors. The latest version of AIDA64 (V5.99.4983 Beta) is now available for download here. The latest AIDA 64 version adds various updates and fixes along with preliminary info for upcoming CPUs such as Intel’s recently announced Xeon Platinum 9200 series and more importantly, AMD’s Castle Peak and Rome series processors. Following are the full release notes for the latest version before we go into detail for the Castle Peak and Rome series processors. The Physical CPU information refers to the design structure of the upcoming AMD processors. It represents the die layout and how the CPUs are structured compared to the older ones. 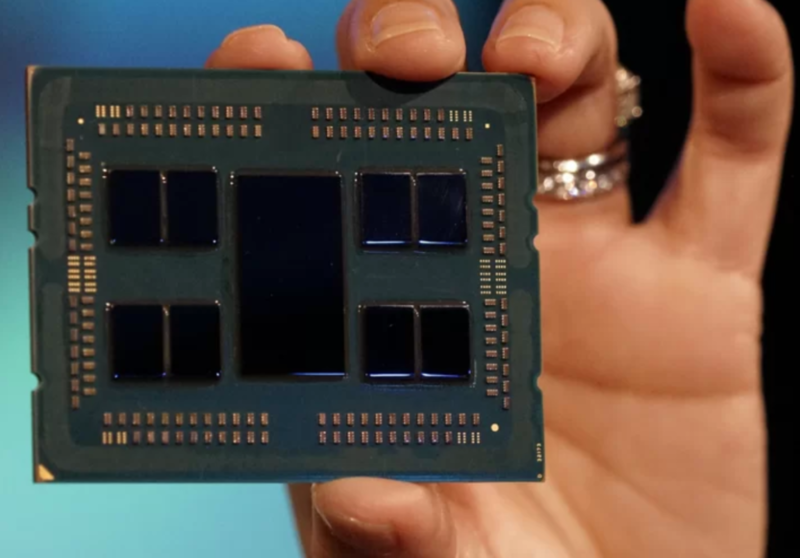 We know that AMD’s Castle Peak series or Ryzen Threadripper 3000 series processors would be similar to the EPYC Rome lineup, featuring a coherent Chiplet design across the various SKUs. We saw the same with the AMD Ryzen Threadripper 1st and 2nd gen which were physically similar to the EPYC Naples parts. Now one thing would be interesting to see if the lower end parts may end up having fewer Zen 2 Chiplets on board the interposer or the full 8 Chiplet configurations but disabled on the lower core parts. Currently, AMD has only shown 8+1 (8 Zen 2 Chiplets + 1 14nm I/O die) SKUs and same was true for the Naples parts which had four dies (each with two CCX) across all configs. It remains to be seen if there will be more configs across Ryzen Threadripper and EPYC Rome processors this time around or not. The AMD Ryzen Threadripper 3000 series family will debut in the second half of 2019. This family will be internally known as “Castle Peak” and is stated to bring dominant leadership in the HEDT market. The family will prove to be a new watermark in performance and overall efficiency while new platform features will be introduced on the TR4 socketed motherboards to take them to the next level. We will also be looking at PCIe Gen 4.0 support on these motherboards which is already confirmed for the X570 chipset based AM4 motherboards for Ryzen 3000 series CPUs. Considering that AMD would want to remain in dominant position with Threadripper 3000 series, we will be looking at some spectacular amounts of multi-threaded performance numbers which would only get better with the added clock speeds thanks to the 7nm process node. The CPUs will also be getting a major core bumps but AMD would like to keep prices close to current levels. If we look at the trend with AMD’s jump from Ryzen Threadripper 1000 to Ryzen Threadripper 2000, we saw that the new processors with core parity of the previous generation were priced around the same with a $200-$300 shaved off from their previous price tag. The 1950X became 2950X and cost $200 US less. The higher core count parts were at a different market tier entirely, costing north of $1200 US but at the same time, much cheaper than their Core-X competitors. 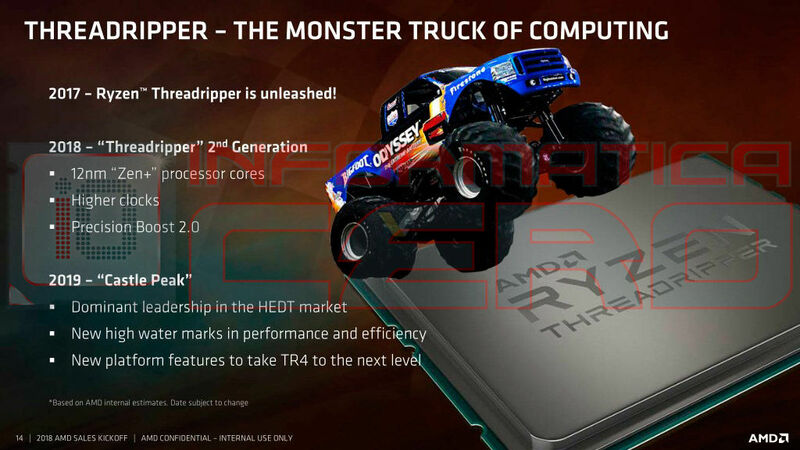 This confirms that motherboard vendors are already preparing for the new Threadripper platform which would not only support the new features that the CPUs have to offer but also enable PCIe 4 support. All of this looks to make Ryzen Threadripper a very solid offering in the HEDT space which would once again offer extreme core counts at exceptionally great prices. Which upcoming AMD 7nm products are you most excited about?